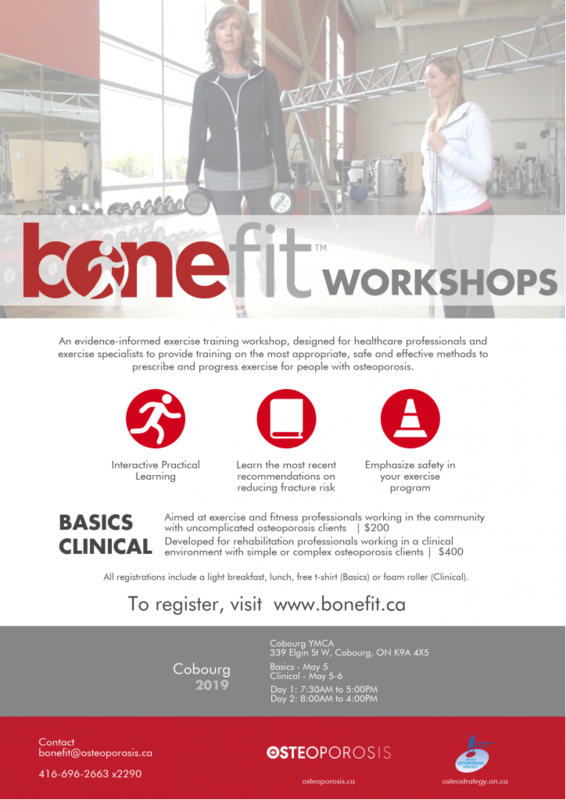 The Bone Fit™ Clinical workshop has been developed for rehabilitation professionals working in a clinical setting with clients who have simple or complex osteoporosis. Participants are required to have advanced training in rehabilitation practices, be registered with their relevant professional college and be able to work with complex patients. If you do not work in a clinical setting and/or have such advanced training, the Bone Fit™ Basic workshop may be better suited to your professional needs. We request that you to register for the Basic workshop instead. Please note that we reserve the right to clarify the nature of practice of individuals who register for the Clinical workshop to ensure that participants have the requisite knowledge and background to participate in the workshop. Individuals who do not have the requisite background will be switched into the Basic workshop. If you have any questions about registering for the clinical workshop, please contact us.